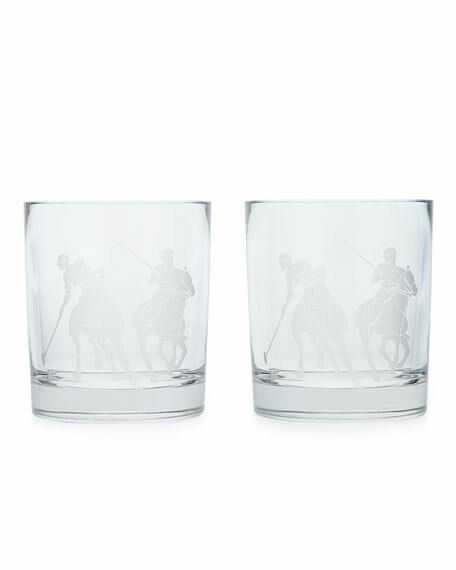 Heritage-inspired double old-fashioned glasses accented with a sandblasted design of Ralph Lauren's signature polo pony. Set of two; each measures 3.5"Dia. x 4"T and holds 12 ounces. For in-store inquiries, use sku #135896.